As usual, I am behind the 8 Ball - but, and it is a big but, if I get this done for the show it will be amazing. Thats beautiful. What type of leather is it?? Looks ultra soft. 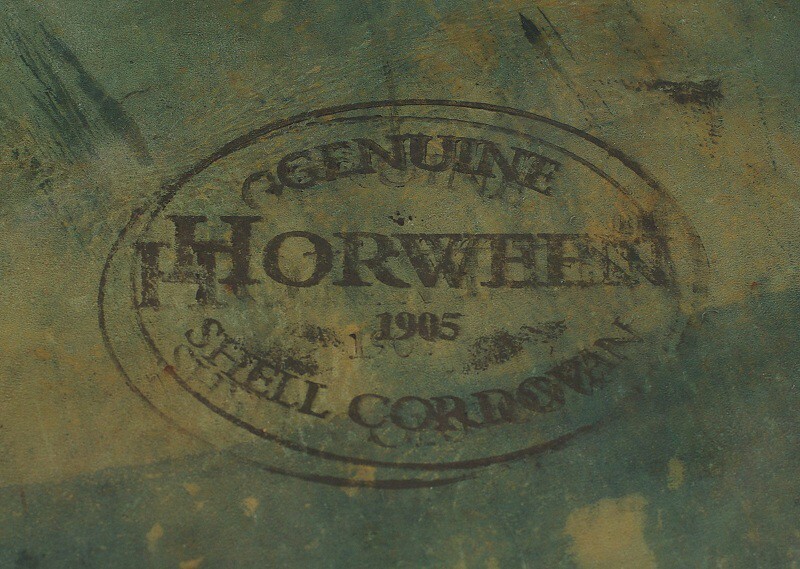 It is a type of Horse Hide known as Shell Cordovan. Very firm, yet supple. 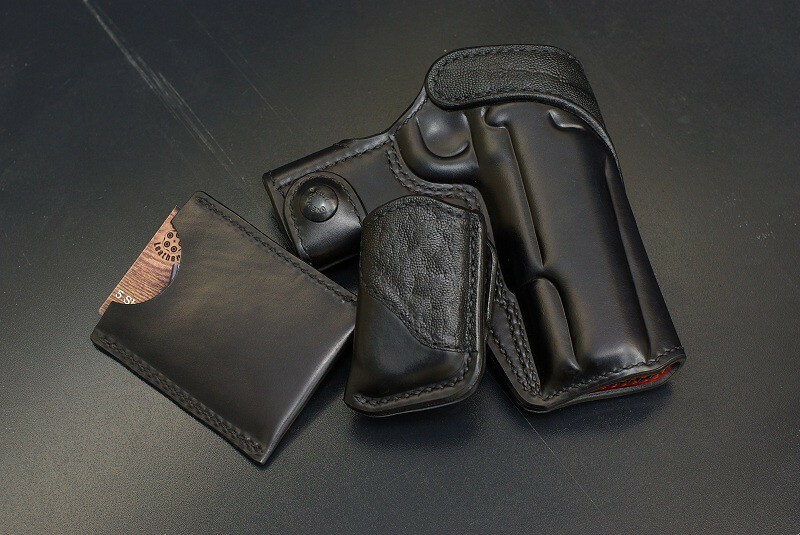 It is bonded to Cow Hide in order to make a rigid holster. Should have the set done tomorrow - nothing like waiting until the last minute! I will be ordering something from you very soon. Can you do the shell cordovan in different colors like dark brown and how about a belt in shell? Thanks John, Ill be contacting you in a couple weeks. Have fun at SHOT, wish I could go!!! Stop by and take a look at it in Booth #2243 if you are SHOT. Looks like everything turned out just fine . Nicely done!! John, is that setup for sale? This is absolutely amazing. The texture almost looks creamy/buttery. 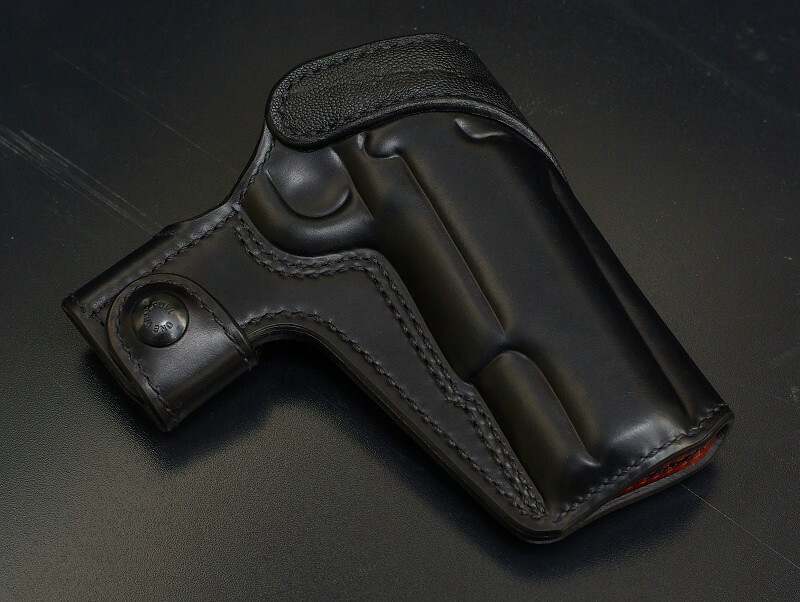 I understand that the shell is supposedly firm, so I would guess that this holster is solid. I bet people are surprised when they handle it - you would expect it to be soft by it's appearance. Again, awesome work, John! John, I didn't even see this thread until just now. Fascinating progression of pics. Glad I got to fondle and smell this rig at SHOT!